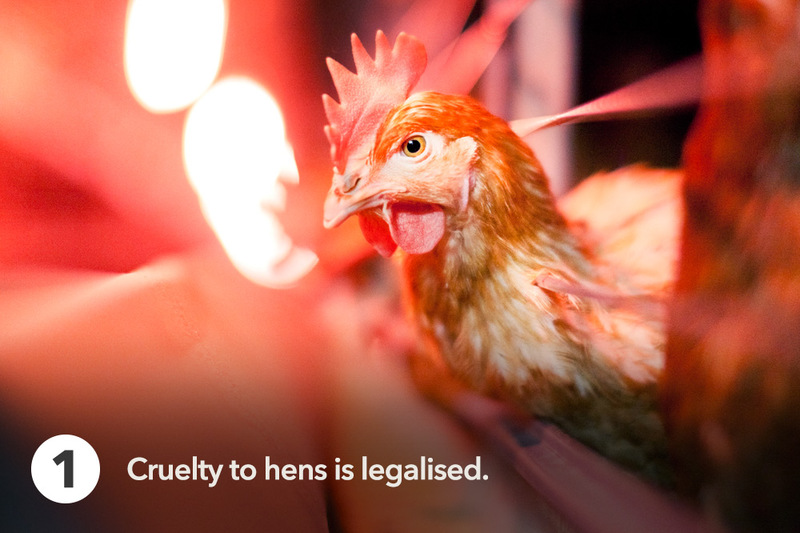 Egg laying hens are among millions of animals raised for ‘food’ in Australia who are deliberately excluded from legal protection against cruel treatment. This leaves them vulnerable to terrible suffering — including being severely confined in small cages for their entire lives, or having parts of their sensitive beaks cut off without any pain relief. Investigations have shown that even the woefully minimal industry standards that are in place have little value due to a lack of oversight by industry and government. 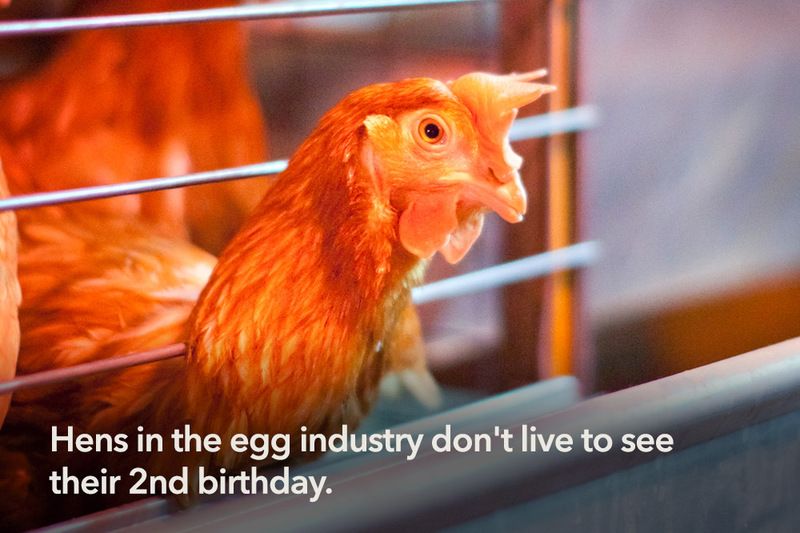 A hen may spend her entire life — and death — without ever being seen by an independent auditor. 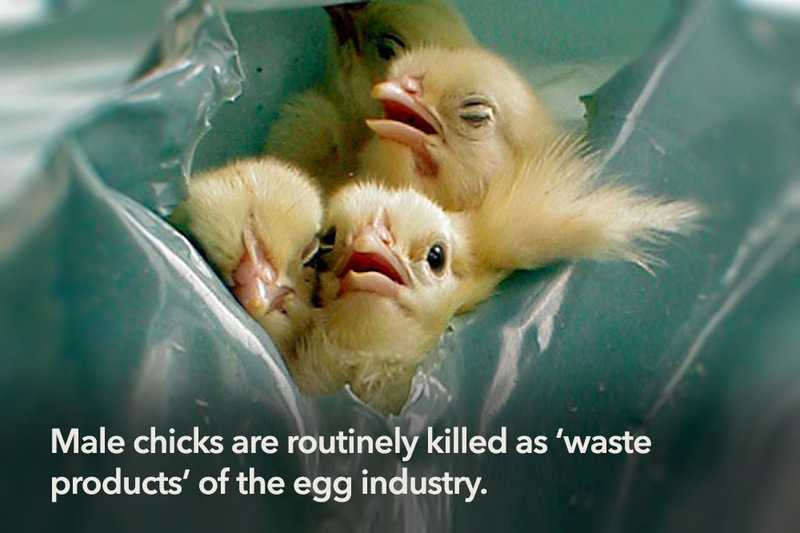 Hens can naturally live up to 10 years, but in this commercially-driven industry their lives cease to have value the day they can't turn a profit. So from as young as 18 months, when their egg production slows, hens in all commercial egg systems are packed into crates and sent to slaughter. For most laying hens in Australia, the first time she will ever see the sky, or breathe fresh air, is from the truck on the way to the slaughterhouse. 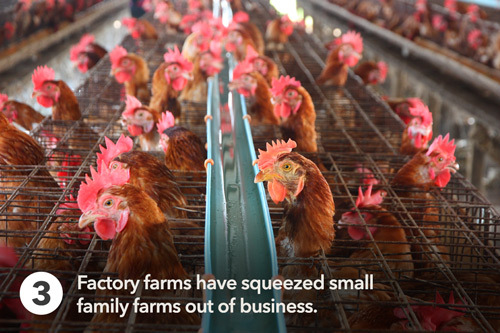 Over the last half a century, most egg production has transformed from small family farming into an industrialised system, run by large corporations. Animals are seen as production units, to be crammed into smaller and smaller spaces, so fewer staff can oversee more animals. 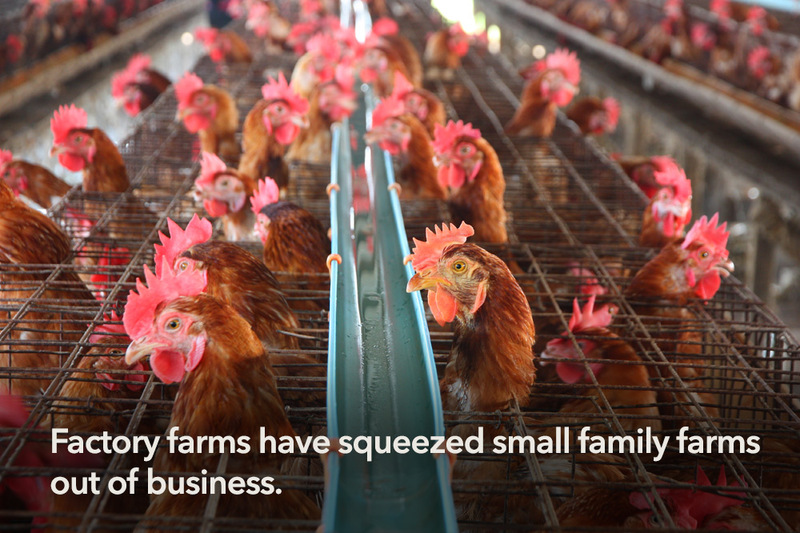 For hens this means lives of misery, and for rural communities this means fewer jobs and profits funnelled into large corporations rather than farming communities. Bonus fact: chickens are smart, sweet and silly! 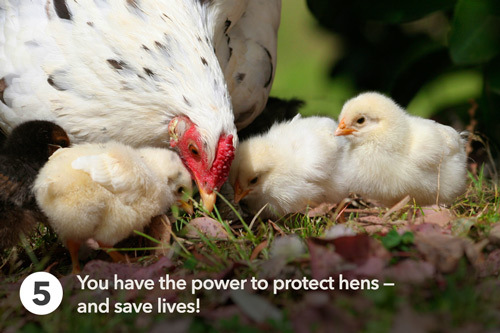 At every meal, you have the chance to make life-changing choices for hens. By refusing to buy cage eggs you can help free hens from cages. 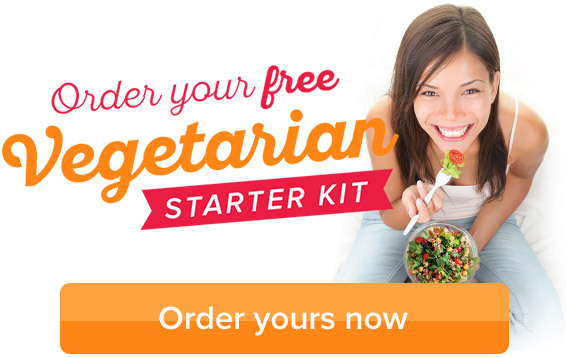 You can also join the growing number of people discovering delicious egg-free living, and know that you'll be saving the lives of hens and chicks with every tasty bite. 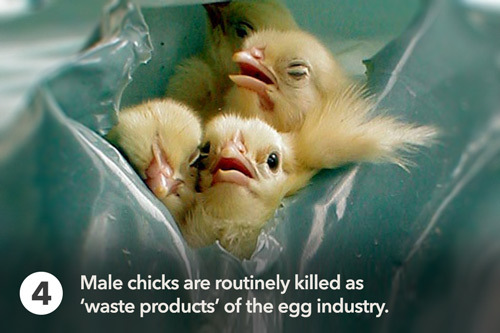 You can save hens and their chicks!